The 5th Annual Pre-Season Show Off Camp will kick off this Saturday, September 28 at Ridgeway Baptist Church Christian Life Center @ 2500 Ridgeway Rd., 38119. Sixty players will have the opportunity to showcase their skills in 3 games to the Division 1 Women's College basketball coaches in attendance. 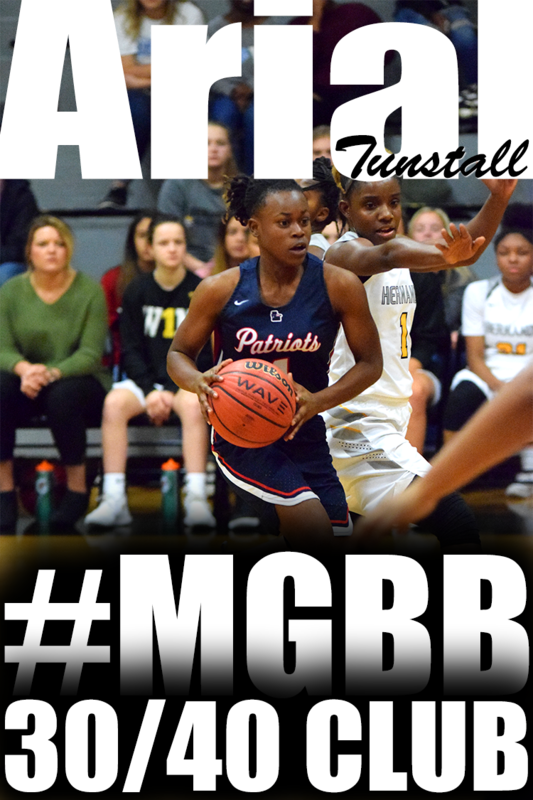 Alyssia King (Senatobia (MS)) She is a fast lefty point guard who loves to get to the basket and score in a half court set. Has averaged over 13 points during the Fall Exposure League and exploded for 18 points during Week 3. 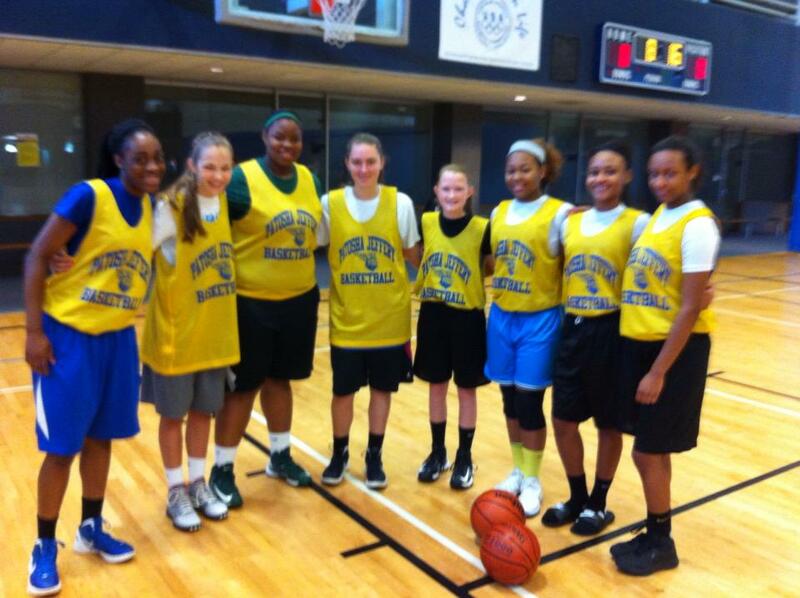 Margy Westbrook (Fayette Academy) Post. 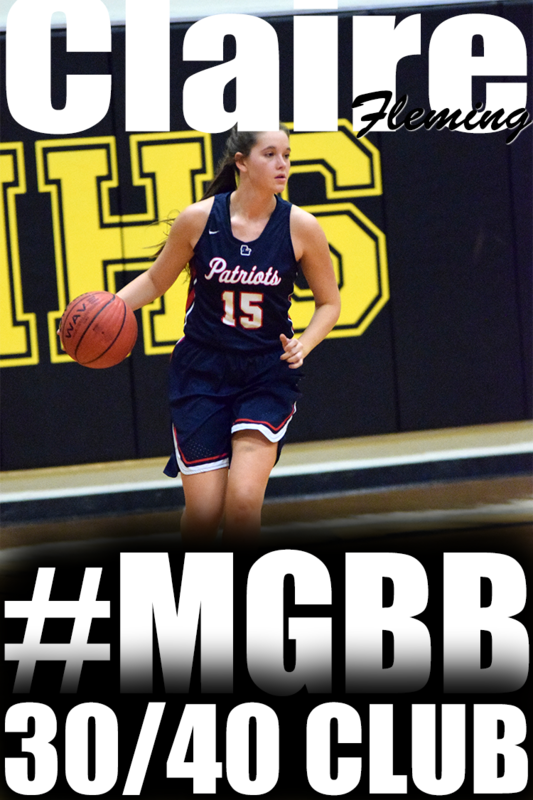 The slender 5'10 post moves extremely well around the basket, has nice hands and can get rebounds. Kenyatta Echols (Hillcrest) Athletic Shooting Guard. Averaged over 15 points as a junior. Last week, THE LEAGUE went from a basketball event to a community of mentorship and support. I can't wait to see what happens this week! All games are played at Ridgeway Baptist Church Christian Life Center at 2500 Ridgeway Rd. Memphis, TN 38119. This will be a match up of the shooting guards. UConn and Tennessee is one of the fiercest rivalries in women's college basketball. The schools started playing each other in 1995. In my opinion, this series really elevated womens basketball to another level. On June 8, 2007, it was announced the schools would discontinue the regular-season series. So why not bring the series back in the Fall Exposure League? 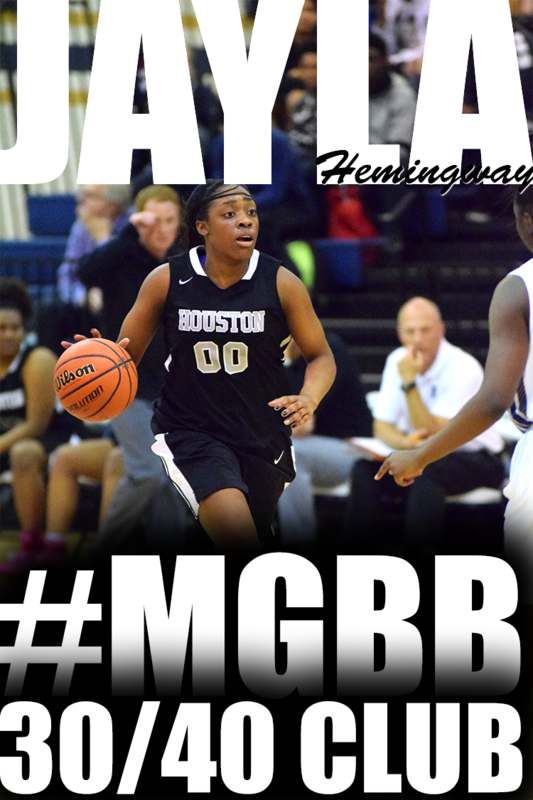 This game will feature two of the top shooting guards in this area. 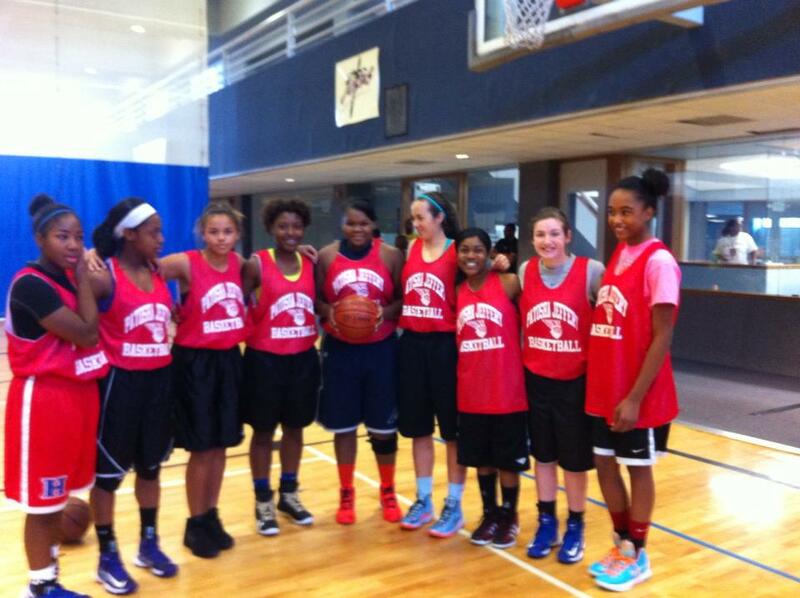 Uconn's junior Taylor Robertson (Rossville) and Tennessee's junior Brenda Fields (Raleigh-Egypt). Taylor averaged around 15.71 points heading into post play last season and Brenda averaged 16.32. Which player will have a break out game during Week 3? This will be a match up of the team to beat. It was just too good to be true! Can you imagine being able to go to a Memphis Lady Tigers' game against Notre Dame. It almost happened until the Big East fell apart. Notre Dame is now in the ACC conference and Memphis is in the AAC. However, in the Fall Exposure League anything is possible. Memphis is the lone undefeated team. Last week, they had a remarkable comeback victory with 2 minutes left against UConn. They have a nice combination of talent on the team and do not believe in giving up. Can Notre Dame take Memphis down? This will be a match up of the Final Four. Both college teams had a cinderella 2012-13 season making it to the Final Four. Louisville continued their fairy tale season into the championship game. The way California started the league. Then turned it around on last week. I say they are having a cinderella league. Will Louisville spoil the momentum like the college team did during last season's NCAA tournament? Who will step up and lead their teams to victory? Last week, we had an unbelievable environment of basketball. This week should be even better! All games are played at Ridgeway Baptist Church Christian Life Center at 2500 Ridgeway Rd. Memphis, TN 38119. This will be a match up of the bigs. Memphis girls basketball fans are more familiar with 6'2 post Manaya Jones (UConn/Raleigh-Egypt). She is a go to player with a variety of moves on the block. 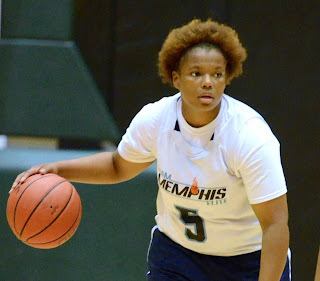 Six-two post Alexyse Thomas (Memphis) made her introduction to Memphis last week. 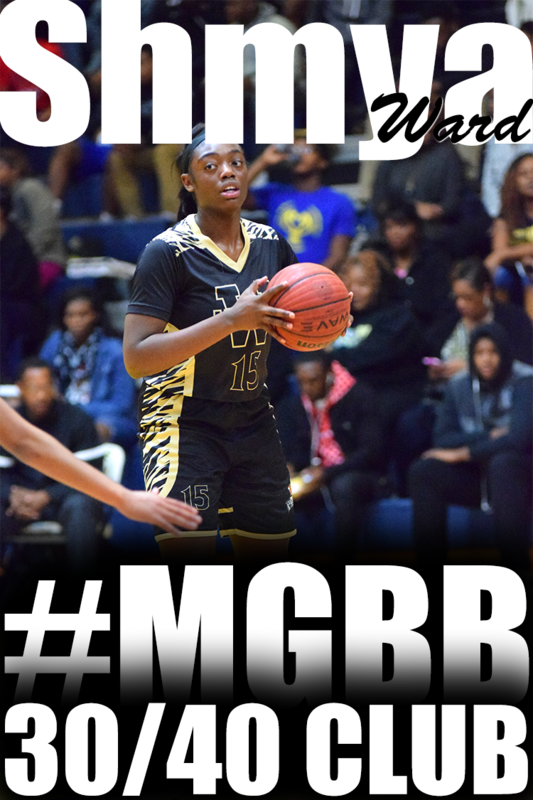 The Horn Lake (MS) junior has an extra year of high school basketball experience on Manaya so she will not shy away from the challenge of playing against a younger 6'2 player. I can not remember a situation in recent years where you have two extremely talented bigs going head-to-head against each other. I'm excited it's happening in THE LEAGUE. This will be a match up of Juniors vs Seniors. Tennessee seniors Kiara Golden (Center Hill (MS)) and Kairniesha "Shay" Trent (Wooddale) have been playing summer basketball together for years. 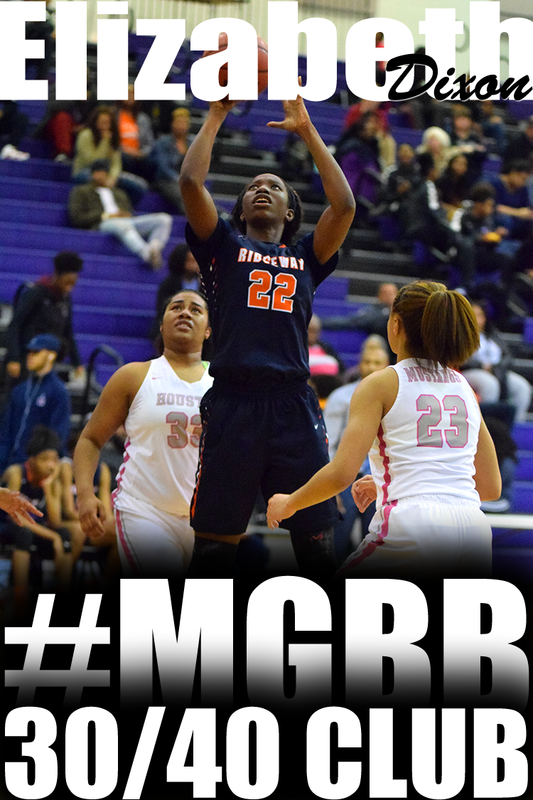 Last week, Kiara lead the league in scoring in swag fashion with 17 points. Shay was pretty quiet, but don't let that fool you. 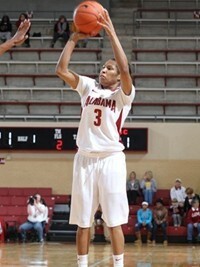 She is capable of putting up double figures in athletic fashion both on the perimeter and in the paint. California juniors Emanye Robertson (White Station) and Maia McCoy (Whitehaven) had a great July with Team All In. Their addition took that team to another level. 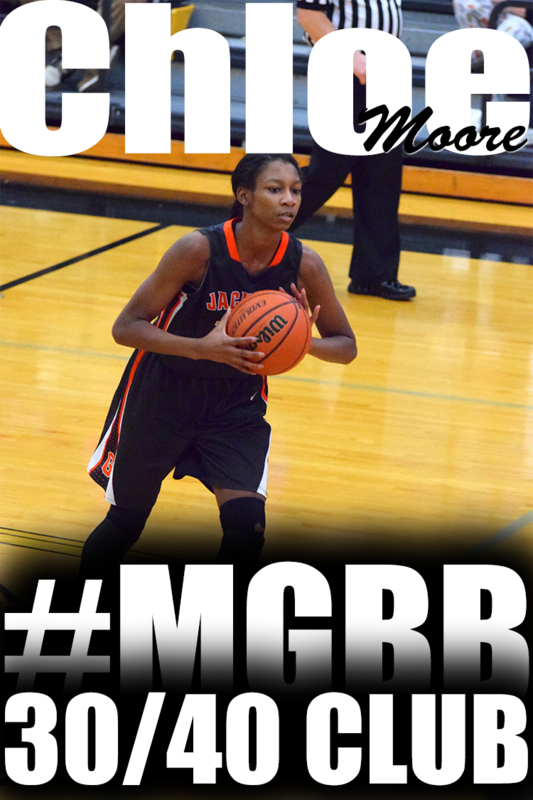 Emanye brought her July momentum into Week 1 of THE LEAGUE scoring 15 points. Maia couldn't quite get it going in the game. 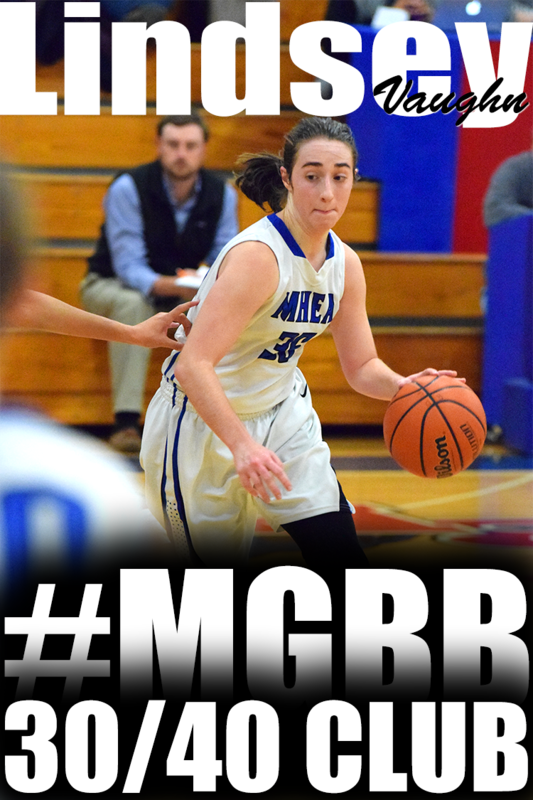 Week 2 should give her an opportunity to show the fans her athletic and scoring abilities. This will be a nice match up of long, athletic guards. California had a rough start last week. Can the juniors bring their A game and motivate the squad to take down the undefeated senior lead Tennessee team? This will be a match up of the Tennessee Flight. 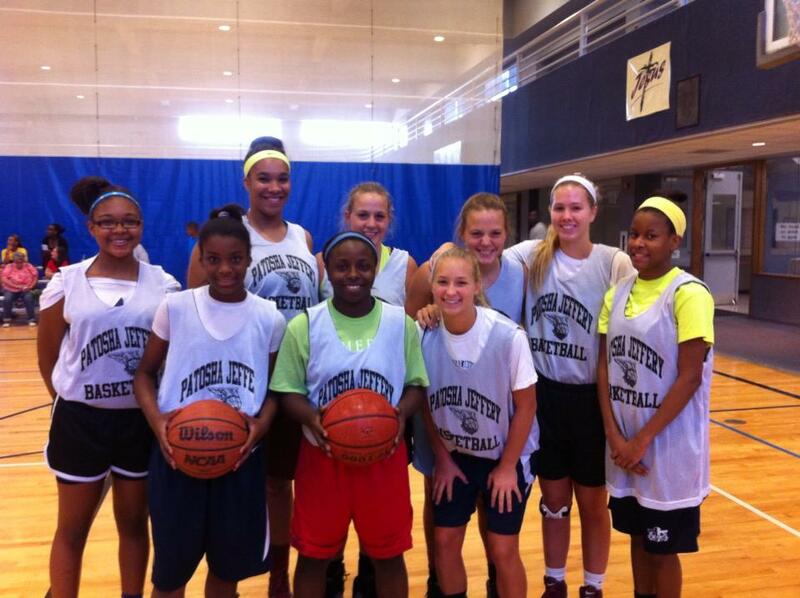 This summer both junior's Kaylan Pugh (Notre Dame/St. Mary's) and Victoria "Torri" Lewis (Louisville/MHEA) took their talents to the Tennessee Flight organization based out of the Nashville area. They have contrasting games. 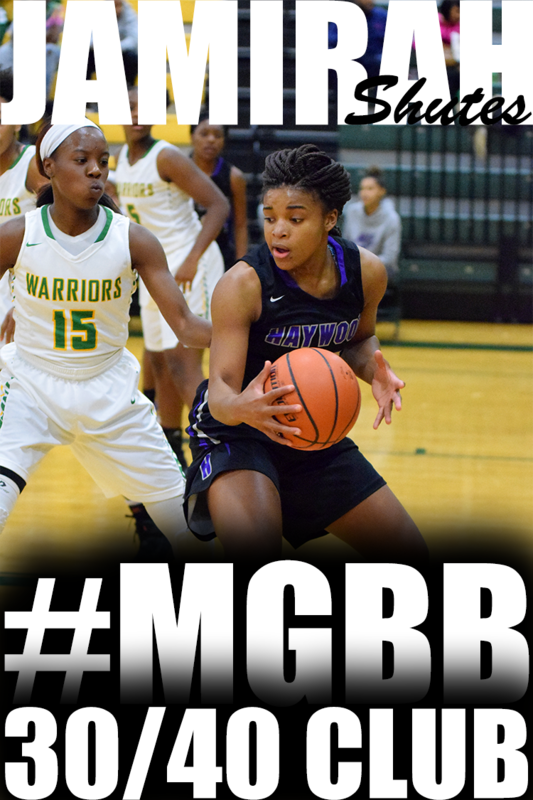 Kaylan is the female version of Lebron James with a mature body frame and bulldozing desire to get into the lane for buckets. 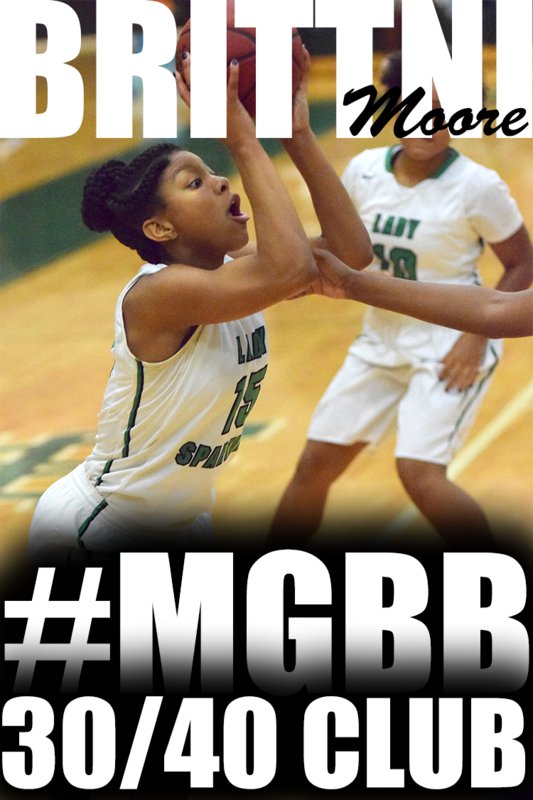 Torri is a tall shooting guard that's deadly on the perimeter. Which style of play will lead their team to their first victory? First of all, I would like to give a shout out to the upper classmen players for embracing the younger players. 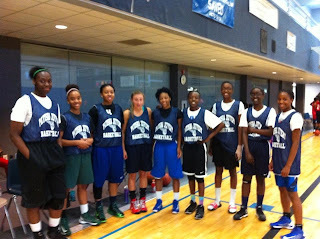 It's not easy to come into an environment as a high school player and play with girls in middle school. On the other hand, some of the middle school players were ready for the challenge and ready to make a name for themselves. The future is mighty bright! Next, I would like to address the #1 question I get from my individual events. WHERE ARE THE TEAM COACHES? In 5 years of hosting individual events, I have never brought in team coaches. 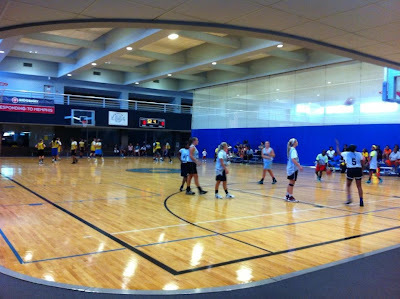 I wanted to create an environment where the girls could just play ball. The players don't have to worry about adjusting to a new coach, who may be a total stranger. The players don't have to worry about certain players getting all the playing time because of favoritism. The players don't have to worry about someone harassing them about playing for their team. The players don't have to worry about someone restricting them from being creative and trying new things on the court. All they have to do is relax, enjoy hanging with friends, meet new players, make new friends and enjoy playing basketball. With no coaches, there are rules. The players decide who start with the understanding that there will be 3 substitution periods. It is a beautiful thing to watch the players huddle up before their game communicating and getting to know each other in order to decide who will start the game. Teamwork is being created and leaders are rising to the occasion. The players are in a learning and growing environment and they don't even realize it. HOW IS MY DAUGHTER GETTING EXPOSURE? 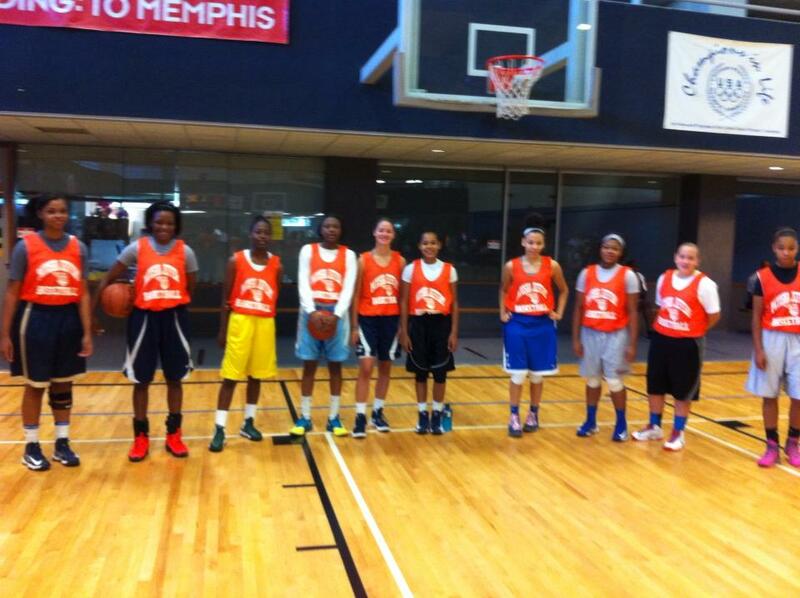 I am a resource that college coaches use to learn about talented players in the Memphis area. They contact me on a regular basis asking about players. Hundreds of college coaches follow me on Twitter, Facebook, and visit MemphisGirlsBasketball.com regularly. 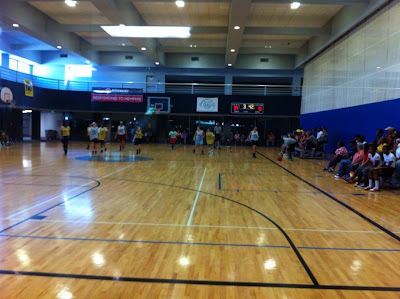 I attend area basketball games, tournaments, and host events to learn about the players in our area. Just to give you one example of how exposure works with the league. Exposure for a participant in my league does not begin and end with playing in one of the games. The exposure actually begins before the league even starts. 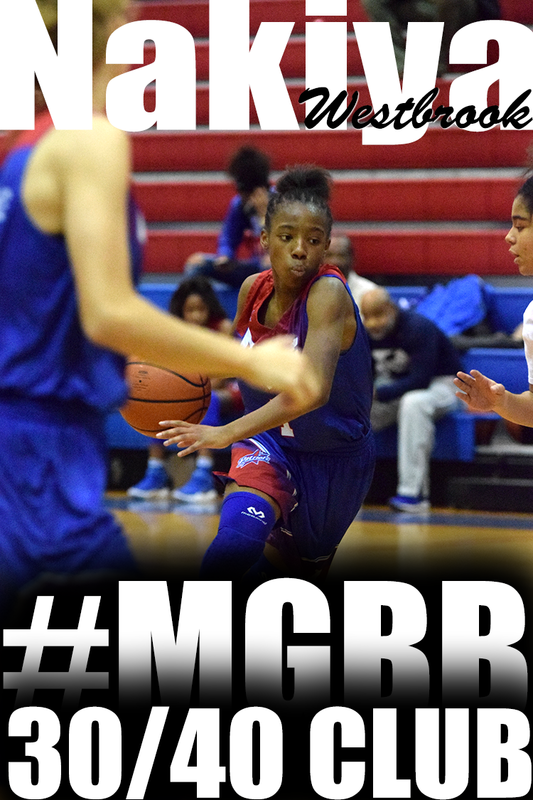 By me placing the player's name, position, school and AAU/Travel team on the who's participating list and listing it on GirlsBasketballExposure.com and MemphisGirlsBasketball.com is exposure. By me placing the rosters with the player's name, school and graduation year and listing it on GirlsBasketballExposure.com and MemphisGirlsBasketball.com is exposure. Playing in the league also means having their scoring stats listed weekly on GirlsBasketballExposure.com and MemphisGirlsBasketball.com. 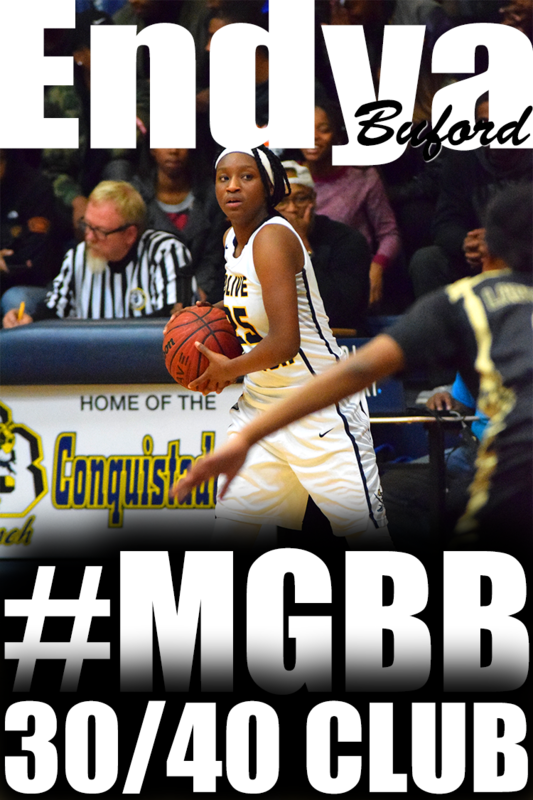 I write weekly recaps about the games and players and list on GirlsBasketballExposure.com and MemphisGirlsBasketball.com. Like I said that is one example of how exposure works. Another example is college coaches attending the league in person to evaluate the players. Exposure happens over a period of time. The younger the players start participating in my or any other exposure event the more opportunities they have to display their talents and growth as a player. Check out the 2013 Fall Exposure League Week 1 Recap II. Santa Clara: Women's Basketball Picture Day Photos Are In! South Carolina: Gamecock Coaches: Congrats to Dawn Staley!